What’s Your Favorite Tropical Plant? "Whats my favorite tropical plant? "This is a question that many friends and family have asked me. After several years of working with tropical flowers and various tropical plants, I can finally answer that question without hesitation. By far, my favorite plant is the Plumeria. When I first noticed these plants I had an immediate attraction to them. I couldn't believe the amount of beauty the flowers held. They even had a fragrance that made the flower more appealing. As I researched and grew them, I discovered that they were super easy to grow, which is a plus for me. Even though Plumeria’s are my preferred tropical plant, there are many others that I find interesting. Most people travel to tropical islands, like Hawaii, to get away from everyday life. A little bit of TLC for the body and soul. 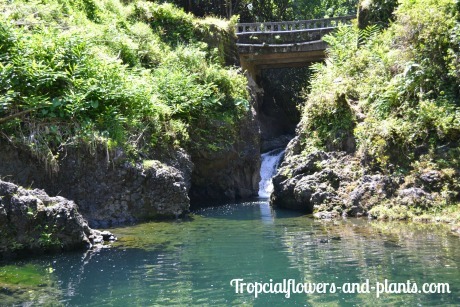 Travelers quickly fall in love with the lush natural surroundings. Bananas, Hiliconias and orchids grow wild on the side of the road. Stunning colorful flowers cascade down the trees. A diversity of exotic plant’s with numerous shades of green are often entwined with the larger elephant ears. You are welcomed with offerings of pineapples and leis as you enter your hotel. It’s a true definition of paradise. As my fascination with tropical plants grew, I began to spend more time researching where they grew best, their water and fertilizer requirements and creative ways to display them. I created this website because of the love that I have for these unique plants and my desire to share it with others. If you love beauty and nature as much as I do, you are in the right place. What Tropical Plant will you find? You will find a substantial amount of information on each tropical plant and flower. I will incorporate lots of helpful tips on where to buy, how to plant, maintain and grow some of the most remarkable tropical flowers. 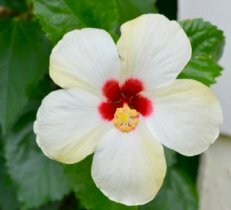 Hibiscus can be grown from the tropical climate of Florida to the cold of Iowa. These stunning large flowers have a variety of species, which makes them adaptable to a large range of climates. You may find the noticeable difference in the flower size. Not only do their sizes vary, but they also have an assortment of colors. All these wonderful choices may have you standing at your local nursery, conflicted on which one to bring home. As a side note not only are they a great addition to any tropical garden, they also attract some beautiful creatures. These distinctive exotic tropical flowers dance above their elongated leaves. The name bird of paradise, comes from the flower's resemblance of an actual bird. There are two varieties of Birds of paradise: a smaller bush and a large tree. The smaller of the two has a bright orange and royal blue making it a brilliant combination that is easy to spot. The larger tropical plant is the white bird of paradise. This one grows quite tall, which makes a nice tropical privacy fence. 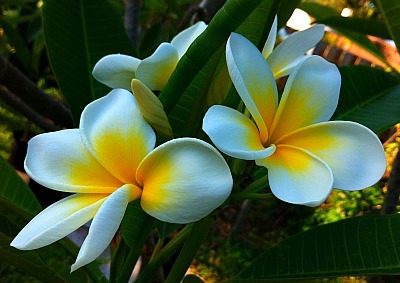 Plumeria’s may also be called Frangipani. They are a striking flower that demands attention. Even from a distance, you can notice these petite flowers. But once you get close to them, you can actually see how lovely they truly are. 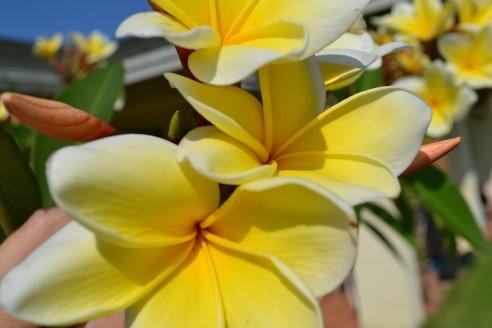 No two plumerias have the same color or appearance, so you might find yourself collecting all of them. Guilty of that! A Hawaiian flower lei is one of my favorite things to receive when you reach the Hawaiian islands!!!! These beautiful leis are made up of fresh tropical flowers and will put a smile on anyone's face. Its like immediate relaxation. 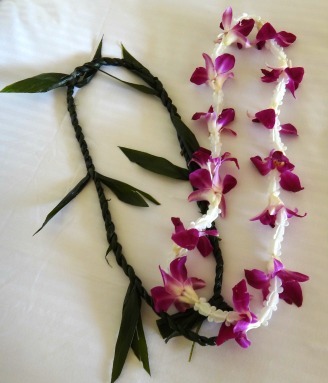 They will even make any gathering memorable by giving each of your guest a lei. Early European explorers looked for unique species of orchids to bring home and grow. Trying to keep the plants alive during the long journey across the ocean made this task very difficult . In today’s era, orchids are grown and sold in many places. I have found, by trial and error, these exquisite plants are easy to grow. 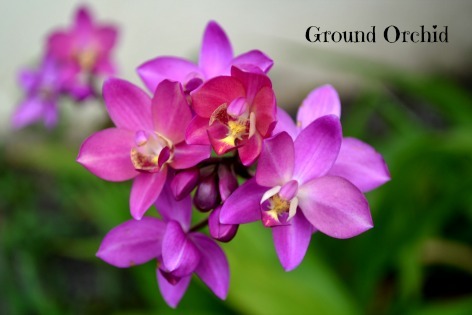 Ground Orchids are so delicate, but in a garden they make a huge statement. Would you enjoy biting into a nice juicy pineapple? If so, you would be eating one type of bromeliad. Even if you don’t have a green thumb, these beautiful plants will thrive even if neglected. Their cup-like base holds plenty of water, so be careful if you have animals. After my dog runs around the yard, he often drinks water out of my bromeliads. It’s super cute. Here are just a few tropical plants and flowers that you will find on my website. Use the side bar to navigate throughout the pages. 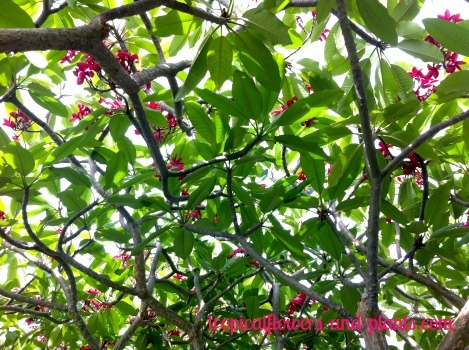 Follow me on Pinterest to see different ideas and pictures for your Tropical garden. 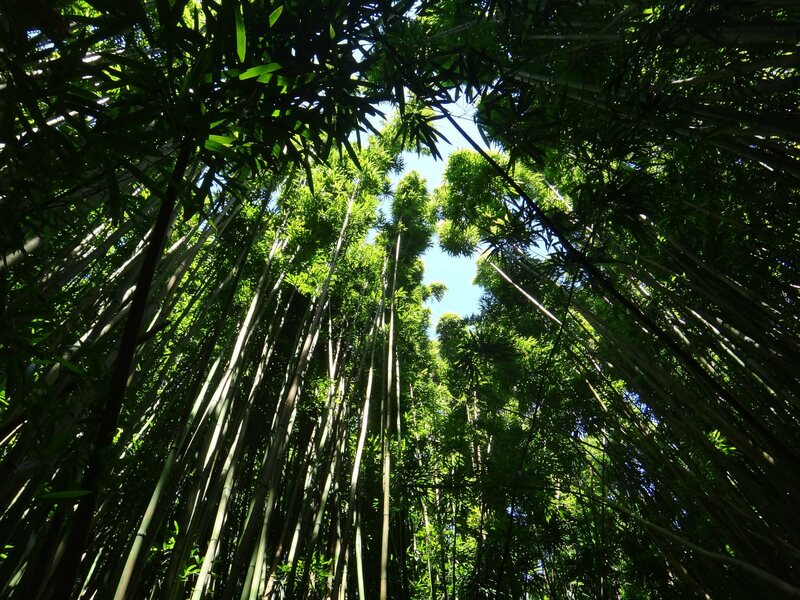 Nothing like listening to Bamboo!